Here is Issue 19...YEAY 2000 hits!! Extremely busy week! With the Kanker Invasion and all geesh! Oh I have said too much. Don't worry you'll find out soon enough. Peach Creek came under attack last week as the Kanker's swept through destroying everything in their way. Some quotes were said at the scene of covering this article. The Culde-sac is under siege! I was reporting from the top of the JBC building and there was nothing but destruction going on below me. The homes were collapsing just as I spoke. There goes another one! “Are you getting these pictures Daniel? !” Some of the kids made it to the shelters that Edd made after the last Kanker invasion which happened in late March. However Kevin didn’t make it and was currently tangled in his bike after the Kankers blew through there. You may be wondering why we weren’t down there, well we are smart enough to know that no one will be crazy enough to stop to be interviewed. The situation was getting very serious as they located the shelter in about ten minutes. I couldn’t believe this the shelter imploded and there was no movement now as we looked on in horror as the dust cleared. Wait! There was some movement and it seems that everyone was ok as the Kankers moved on. They then began approaching Jonny’s house. … So far nothing was happening… And there it went! The house collapsed and Jonny was running for his life. “Daniel where did they go! ?” No! I realized that they were heading for the JBC! “Daniel we have to get inside now come on!” I received a security message from the first floor and it seemed that the Kankers had full control of the first floor staff. None of us could imagine what would happen next. Last Monday afternoon, Eddy, Ed, and Double D were all at the park trying to come up with a new scam. While sitting in the sandbox, Eddy found a rare diamond ring, and without using his head, gave the ring to Lynn of the JBC staff. Now he finds out that it was missing and worth a fine amount of money for its return but Lynn returned it and collected the reward money and gave half of it to Eddy, just because he was thinking of her as he gave her that ring. But now its back where it belongs and Eddy and the other Eds are swimming in jawbreakers, thanks to the kindness of Lynn. And come to think of it;this time Eddy got money without even doing a scam. How lucky can one get? As you have no doubt read in the headlines this issue, Peach Creek has suffered another brutal attack from the Kankers. Unfortunately this time, the Kankers were not content with attacking Peach Creek and as a result wound up on our doorstep. I will now retell the story of this attack as I witnessed it, first hand. It was a quiet day, I was working in my office trying to figure out the redox potential of hydrobenzine when I heard a sound over the intercom. I listened intently, trying to comprehend what the speaker outside was saying (Justin was too cheap to put a speaker in my office), but to no avail. It was obvious, though, that whatever was being said it was something urgent and important. I was about to open my office door and see what was going on when the power went out. Trapped in my dark office (the door is equipped with an electronic locking mechanism for added security) all I could do was wait. I strained my senses, trying to get some idea as to what was happening. All was quiet…then suddenly I heard an explosion and the rushing of feet. Following this was a cry for help and a girlish scream (no doubt Jonathon) and the sound of falling bricks. I suddenly heard a laugh from outside the door, low at first then picking up in intensity. That laugh sounds familiar, I thought. I just couldn’t find out where I had heard it before. Then suddenly it dawned on me…it was the same voice I had heard echoing throughout Peach Creek after the First Invasion. It was…the Kankers. But how did they get through the security system, I wondered. The JBC, thanks to Justin, was equipped with the best security system money could buy. This was done to insure the safety of all the staff members and most of all keep “them” from finding me. There was no way they could have gotten through…wait. The power. That was it! They must have knocked out the power grid and thereby rendered the system useless. What was going on out there? Suddenly I heard the sound of approaching footsteps and heard my two guards arm their rifles. “Don’t move!” one of them shouted. More laughter was heard, followed by a thud and the sound of both my guards falling to the ground. I cringed in fear, knowing that the inevitable would soon occur. They would soon find me and then who knows what they would do it me. Shrinking into the corner of my office I held my breath, not daring to make a sound. “Hey May, what’s this?” I heard from right outside my door. I breathed a sigh of relief as I heard footsteps heading away from my office. Having a 3 by 3 foot office came in handy sometimes and not just for tax evasion! So, I was safe, the Kanker threat evaded. But what was happening to the rest of the JBC, I had to get out and rescue them! But how was I going to get past my electronically bolted door and once I did, what was I going to do from there? Wacky Plank Productions: Broke! - Wacky Ed Productions? As you may or may not know Jonny and Plank have been producing many local films; but recently they've been rumored to be low on funds, in turn, they have been searching for a sponsor. At the last meeting I went to, I recall Jonny asking if maybe the JBC could possibly fund the next few films... Unfortunately Plank's disagreement with Justin about changing the name to Wacky Jawbreaker Chronicle, Film, Cartoon, Comic, and Newspaper Productions didn’t help the negotiations go so well. Since I had no better ideas to find a story I followed them. The next stop was Kevin's house. "Plank says he wants to make a deal!" Jonny said. "Alright, follow me and we'll talk." Kevin said seeing the Wacky Plank Productions logo on Jonny's forehead. "So what exactly is in it for me? Cash, Babes?" Kevin asked shamelessly. “No less then 75%!" Kevin yelled back, *cleans out ear* loudly. "Plank says 'Fine! We'll just take our business else ware!' "
Kevin called it pointless and then Jonny and Plank stomped out. I saw that they seemed to have a mind block so I stepped in and suggested Sarah, but Plank refused because he'd seen what Sarah did to her dolls when she got mad so that was it for then. After an hour of me sharing the mind block Jonny said Plank had it, he didn't tell me what it was as he ran off to the site of the EdCO Company. My human curiosity insisted I followed, (along with my caffeine rush and the fact that I want paid vacations) when I caught up I saw them walking inside Eddy's office of the remodeled and renamed EdCO, Ed-bay. Struck with a sudden memory of last week’s article on Ed-bay I had to get inside! The only problem was they had Rolf and Ed as security so I knew the only way inside was to wait until they came out, or just try to pay off the guards for a faster entry. 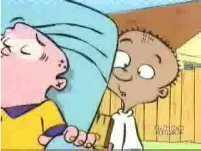 I paid Ed with a simple stretchy... thing..., and Rolf with the Pocket lint I had. With them distracted I easily slipped into the office unnoticed by no one. Eddy was mad, Jonny and Plank had mean expressions on their faces, and Edd looked like he was just surprised. "Security! GET THIS NUTCASE OUTTA HERE!" "I'm sorry but you'll have to schedule an appointment." "Plank is mad at you!" These were the words I heard as I entered, so I just yelled "SHUT UP!" repeatedly until I finally could hear myself clearly. When everything was finally settled I managed to get a meeting in the interview room which because I don't have full benefits I had to pay rent to Dr. Eric, which was weird because Justin never charged rent for it. So we decided to take the offer since it was already 5:00 PM and we didn't want it to conflict with Jonny’s nap and so I could write up the questions for Eddy and Jonny. When 5:00 finally came I got my clipboard out and just started my questions in an order from last to first. "Since you have reached a deal, have you decided on a company name change?" Was my last question on list. "Yea, Plank said it was ok to change the name to 'Wacky Ed Productions' “Jonny replied plainly. "How many movies are going to be funded by Ed-Bay?" Was the next question up (I love doing this to people). "All of em, Jonny convinced us it was a safe investment and Double D did the math and said it was okay" Eddy replied. "So has a deal been struck?" I asked hiding my smile. "I think that fact has already been determined in your previous questions," was Edd's confused reply. 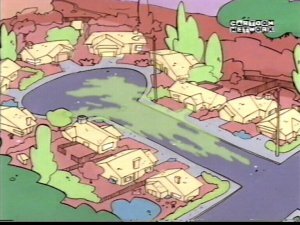 "These are two very famous cul-de-sac companies, were common grounds for dealing made?" I asked holding in a laugh. "Plank says 'you’re weirdin me out!’” Jonny screeched. "Thank you guys for coming, now do you mind if I ask you a few questions?" I said while keeping back the laugh. "You mean like, the 11:00 news at 6:00?" Ed said in a pondering voice that made everyone in the room silent. Well after that I had all the info I needed, let them, I mean showed them the door. So there you go folks, that's how it works. Two companies start; one company runs out of money, then the other buys the other company and makes more money. CAN I GET PAID VACATIONS NOW!? Well finally it seems that EdCo is actually selling something. Yes who ever thought it possible that such an event would ever occur in business history. Now you can't even walk down the streets without seeing a Double-D hand puppet on everyone's hand. "So how did this fad get started anyway?" That's the question on every Peach Creek citizen's mind. Well a while back Double-D left Ed and Eddy to tend to a natural function. Or as we like to call it...going to the bathroom. Out of nowhere Ed creates this badly created sock puppet. That's where the demand started. Ed's home was flooded with calls about how the customer could recieve this precious self image of that timid casanova...Double-D. Well hearing of this success Eddy came up with an idea for having EdCo sell this product since there was such a high demand for it. Hundreds of badly sewn sock puppets were made and everyone of them has been sold. When asked about how Double-D felt about having a rag tag hand puppet created just for him he had this to say. "Honestly I'm flattered and a bit disturbed...but mostly flattered." Each puppet costs no more than five cents to make but they're selling for over five dollars generating a huge profit. So far everyone is sold out and new ones are being made as I speak. They're scheduled to be auctioned off on Ed-Bay next week. So it just goes to show you that in the world of business you never know who will be pulling the strings next. This is the exciting event you've all been waiting for! who is going to become JBC babe of the month? Whichever wins, will get a special page on the JBC for an entire month, then after that, there will be another contest. so don't miss this event!